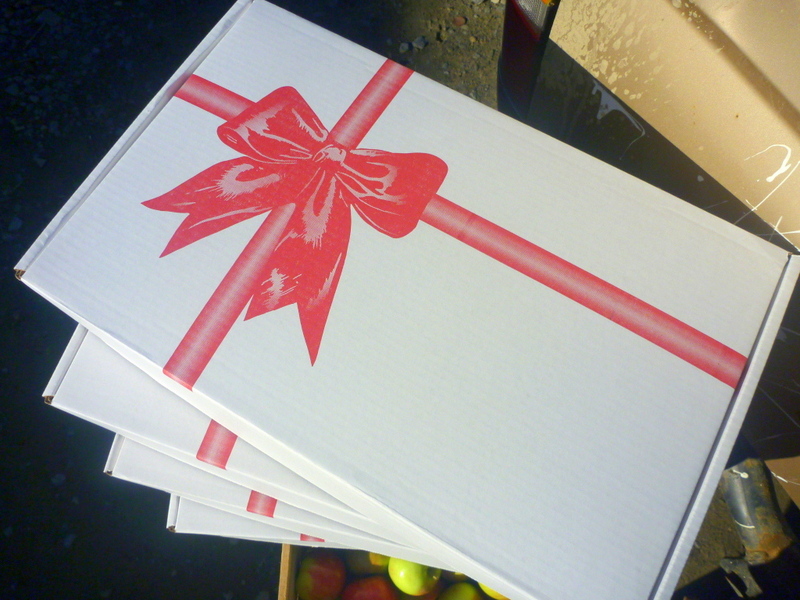 ← New Local Apple Gift Boxes! And a Warm Farm Weekend. IT IS HARD TO KEEP a straight face around here. Sure, the dark times are coming and we work in a refrigerator; but, we feel a nervous excitement. 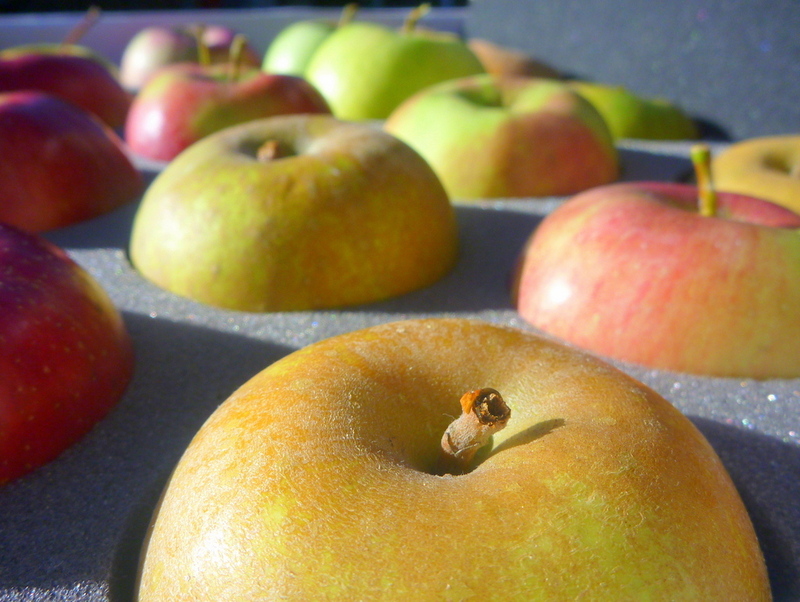 It’s what we live for—seeing so many apples sail off to new homes. The Local Apple Gift Boxes are going out with 18 jewels apiece. We even got a boost from the gang at Gimme! Coffee. In a bold move of early adopterism, they ordered a big stack of Gift Boxes. Won’t you take a cue from the hometown trendsetters? 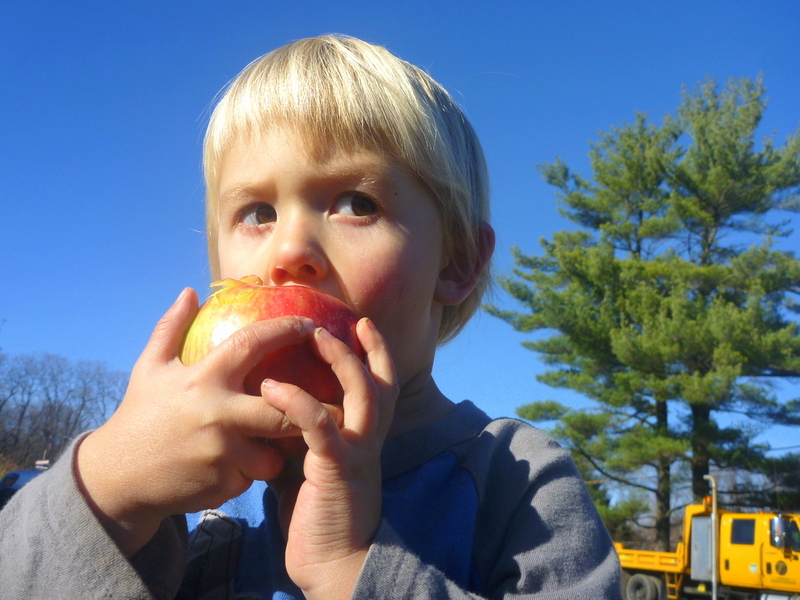 They know artisan food, such as this Roxbury Russet—the first American apple EVER. 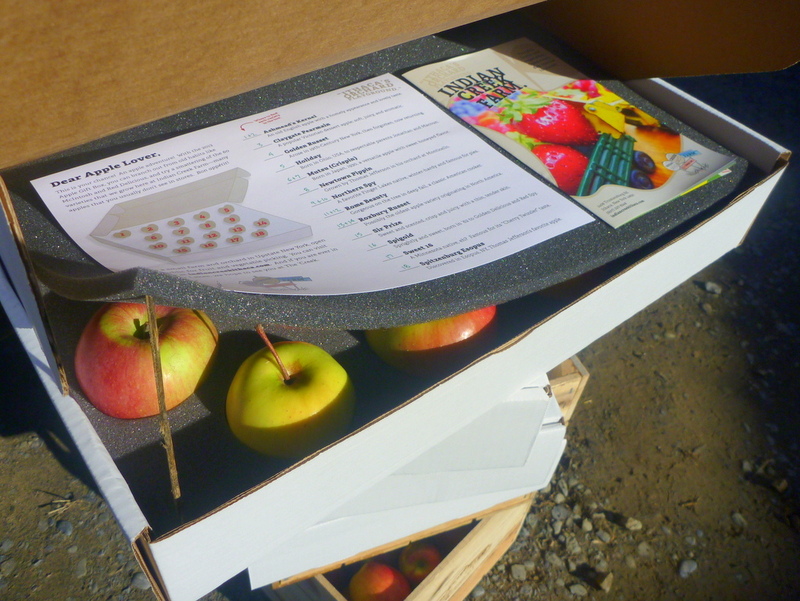 Each Local Apple Gift Box includes 18 assorted Indian Creek apples, packed snugly for delivery, and a handy apple guide. Kind of like a box of caramels, only these fructotic bon-bons come with 1000 times less fat, and the federal endorsement of Obamacare. You can pay with cash or local check when you pick up. Each box is $38. 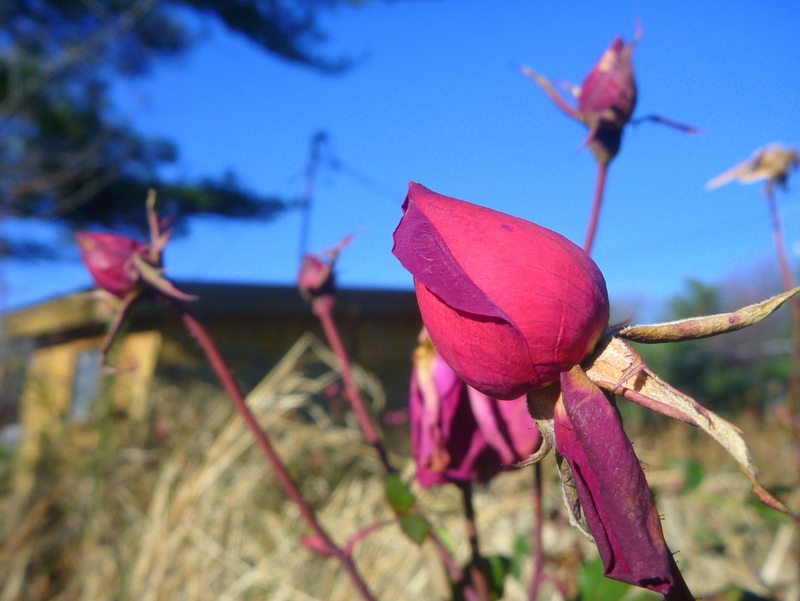 And guess what, we’ll have some boxes ready for impulse buyers at the farm stand THIS WEEKEND! Call us with questions at (607) 227-8248. 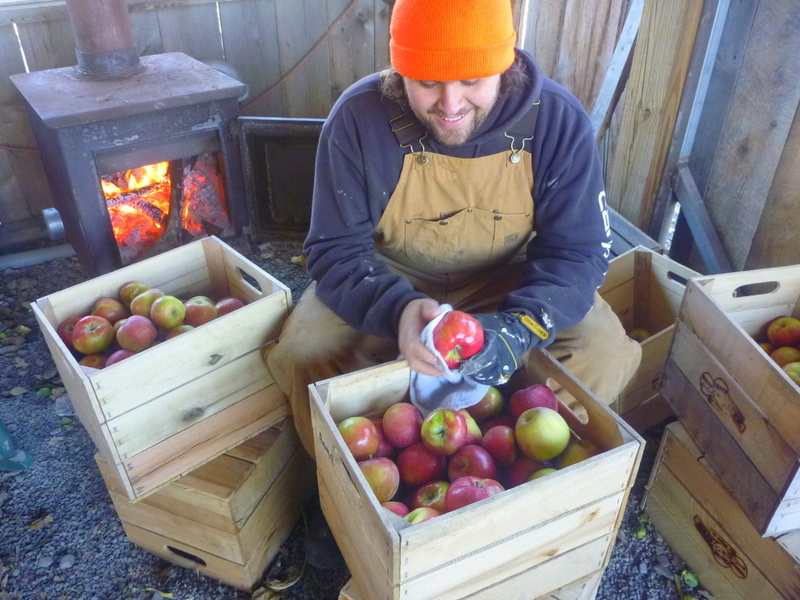 If you can see past his blinding splendor, you will note that he is polishing honeycrisps. Tippy-top grade for Greenstar Market. 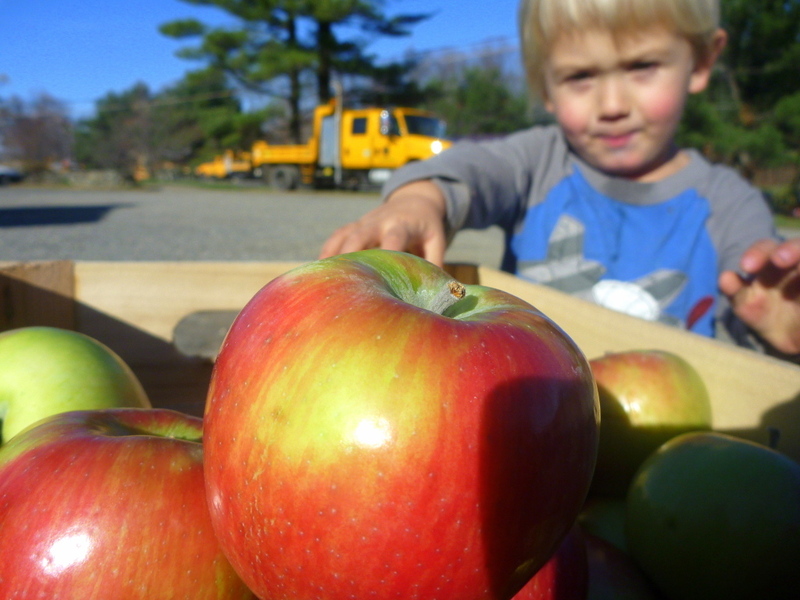 That’s right, you can get our apples at the Co-op. 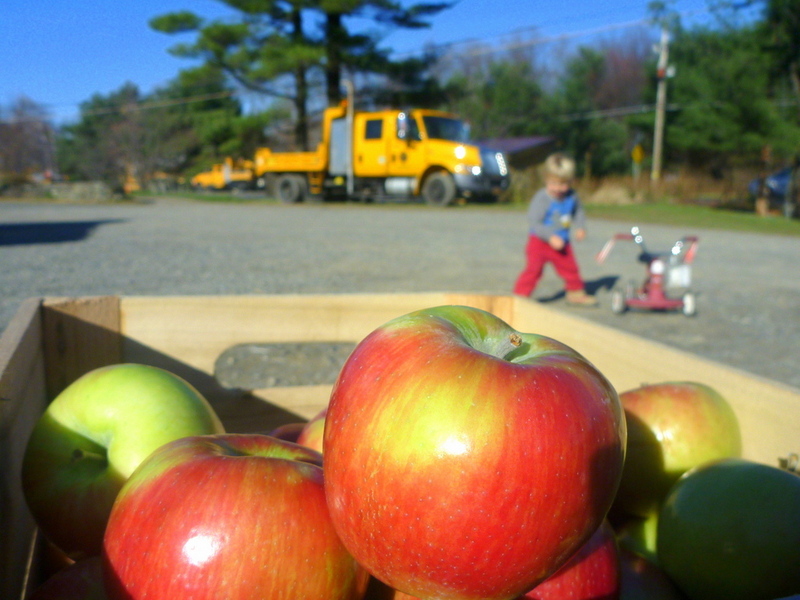 We are still open for shoppers, but if you’re at Greenstar, reach for the local fruits. Junior is taste-testing one apple from each crate. Munching but vigilant, lest somebody else swoop in on the prize. 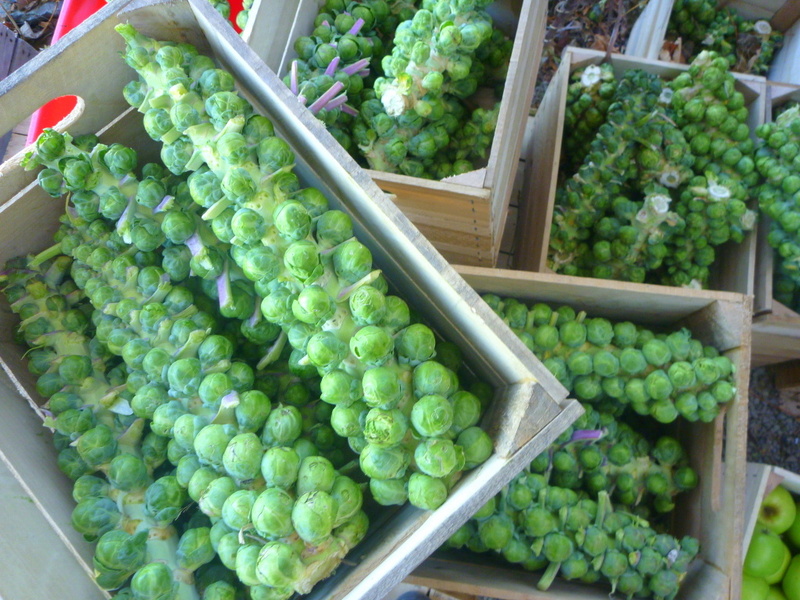 Sprouts a-plenty at the stand this weekend. They are cruciferous and nutrisherous. It’s just kind of fun to say. 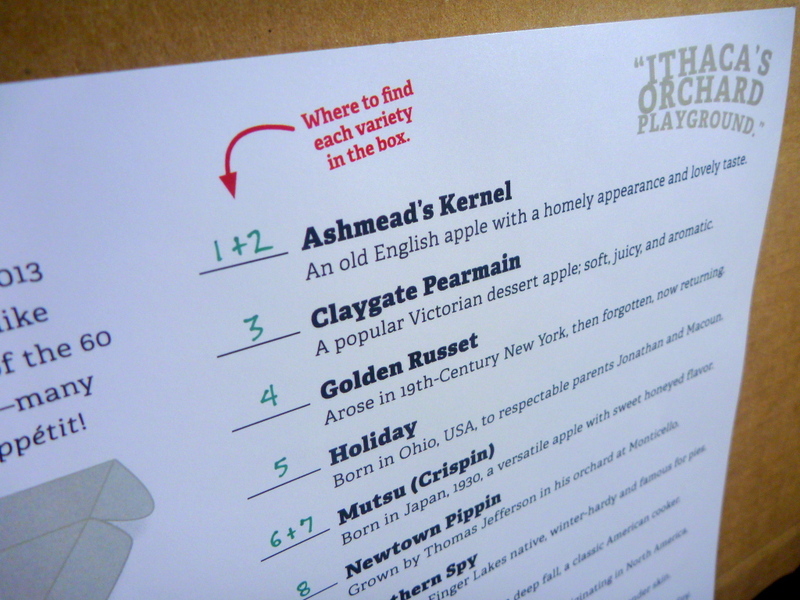 Cider season continues. 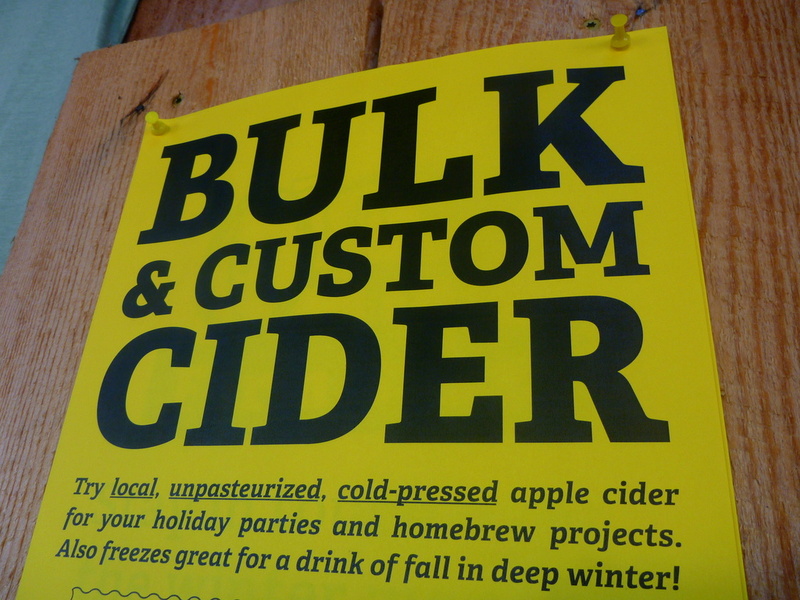 Here’s the poster for bulk and custom cider. 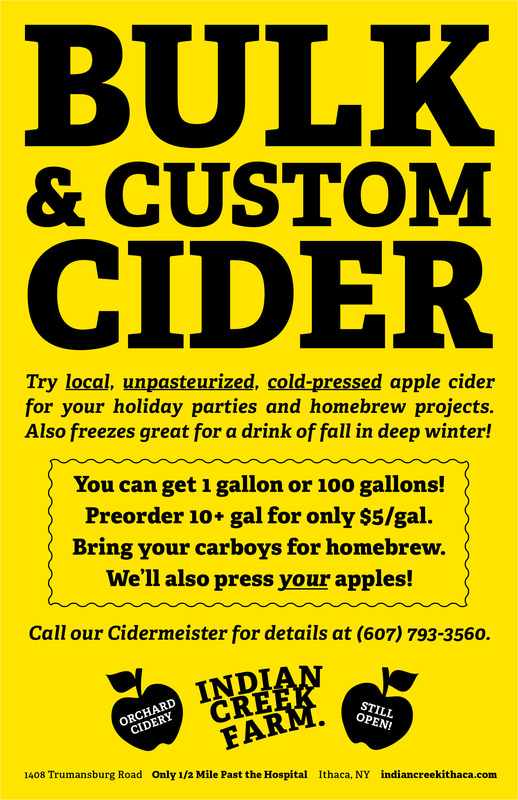 We’ve also pressed 3 different blends of cider for the weekend! Did somebody mention working in a fridge? 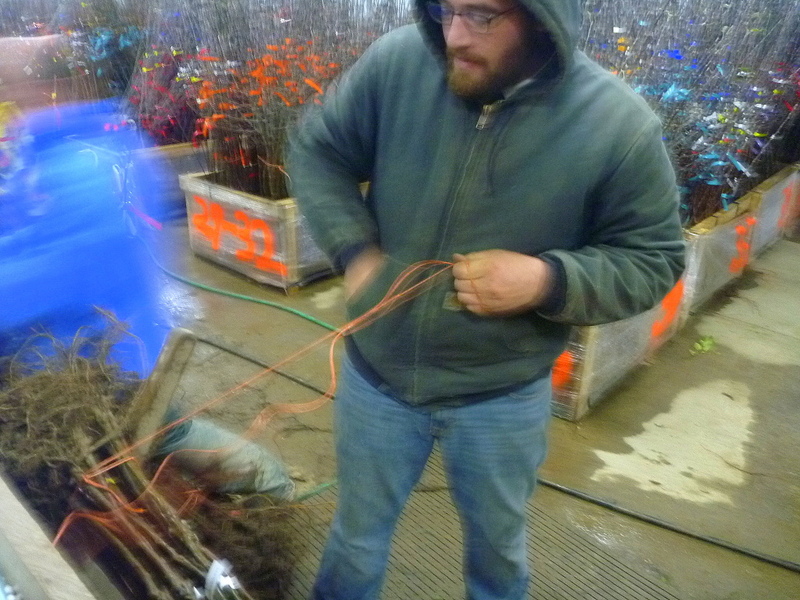 It’s no joke, but these hale chaps do their jobs like a blue streak. Oh, by the way, our apple cider donuts will be frying 11 til 4 on Saturday. Hope to see you at The ‘Creek. 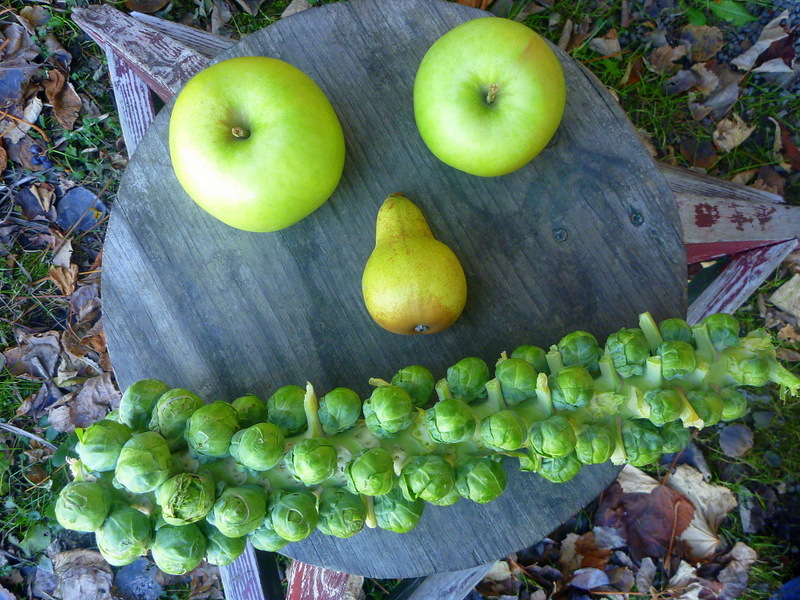 This entry was posted in Crop Alerts & Farm Buzz and tagged apples, country life, crops, Farm Life, Food Art, Food Photography, Food Writing, Fruits and Vegetables, Photos, Small Farms, u-pick. Bookmark the permalink. 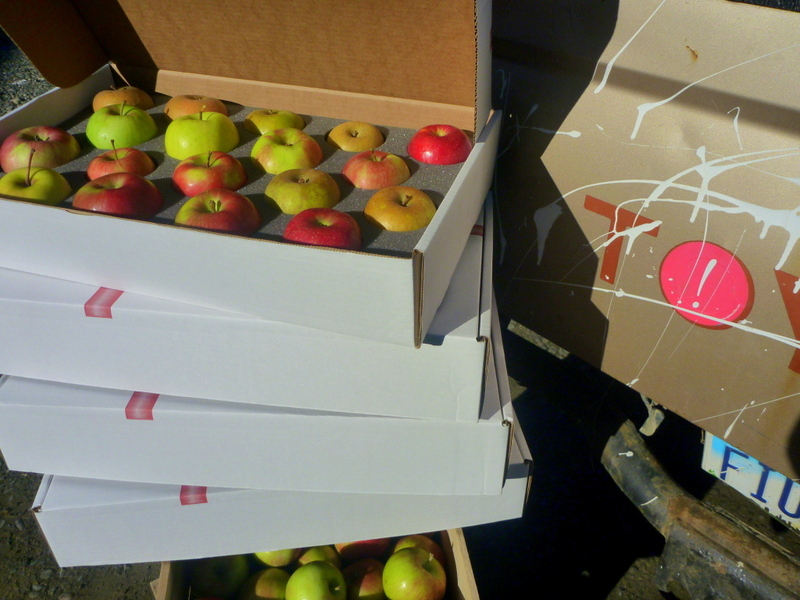 1 Response to We’re Still Open and Local Apple Gift Boxes are Ready. Hey Henry and Dustin! Greetings from Florida. Food Looks Delicious!